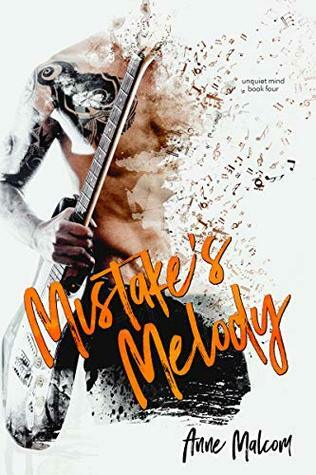 Mistake’s Melody is the last book in the Unquiet series. 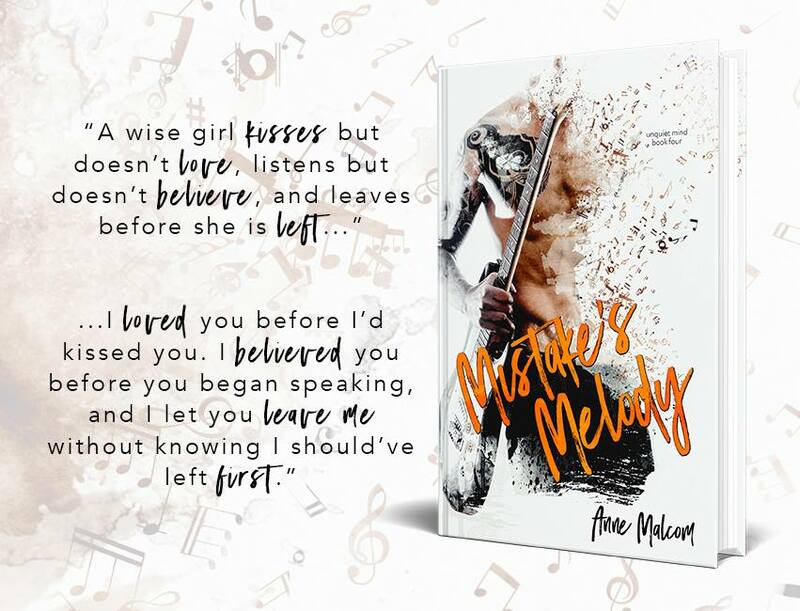 I loved each of the books and I believe that Anne Malcom saved the best for last. The Unquiet series is about the struggles in life and sacrifices. I fell in love with Emma and Wyatt story it’s raw, emotional and real. Emma has always taken care of herself. She’s had a rough upbringing and plays by her own rules. She has made a comfortable life for herself. But her downfall is she’s stubborn and afraid of commitment. Emma is the fun party girl, but deep down she’s broken and lost. She believes she will never fall in love. Wyatt is your typical rock star; he has everything he could ever imagine. For someone who is surrounded by many, he’s terribly lonely. Wyatt struggles with addiction and is haunted by his childhood. One drunk night changes everything! Emma and Wyatt’s story is full of anguish and some amazing banter and laughter. My emotions were all over the place, there were so many times I wanted to scream and then the characters had me laughing out loud a moment later. Every relationship has struggled, but these two brought it to a whole new level of crazy. I am so in love with their story. You know when you turn the pages of a book and get stuck into the vortex when you can’t get enough of a story? This is that book! It was an emotional journey of two people thinking neither one could ever love. I promised him he’d never get into my bed or into my heart. It turns out I lied. Anne Malcom has been an avid reader since before she can remember, her mother responsible for her book addiction. It started with magical journeys into the world of Hogwarts and Middle Earth, then as she grew up her reading tastes grew with her. Her obsession with books and romance novels, in particular, gave Anne the opportunity to find another passion, writing. Finding writing about alpha males and happily ever afters more fun than reading about them, Anne is not about to stop any time soon.